Training "Empowering Youth Organisations Working on the Field of Alcohol"
Around 50 young people from youth organisations across Europe gathered to attend the trainings »Training for Project Leaders on how to implement a specific evidence- based alcohol intervention programme«, »Training for trainers on how to conduct field studies« and »Training on alcohol advocacy and national consultations«. 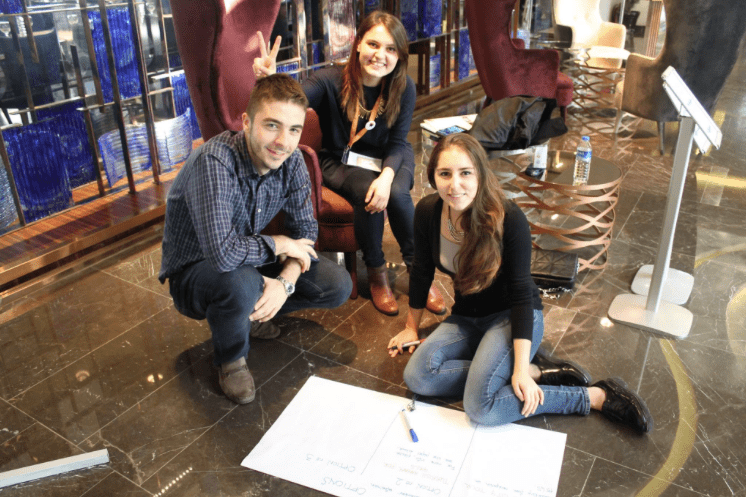 After success of Amsterdam training, another training was organised where almost 150 people from EU and beyond came together in order to learn more on the topic of evidence based interventions in the field of alcohol, youth research on alcohol and law enforcement, and alcohol policy and lobbying. The final conference of the project took place in Slovenia, where around 80 young people, many of whom have been involved in the Let it hAPYN project throughout its duration, gathered in order to present the results of the projects and discuss the road ahead.